As Coco Chanel says: "A woman with a good shoe is never ugly". Having a new pair of shoes is almost every girl's dream. There is something in it that uplifts every girl's emotions. And of course, a pair of shoes can make or break any outfit so you should be sure you had a good one. Here is every women's guide in selecting each pair! Are you planning to shop for a new pair of shoes? Tweet this if you do: "I deserve new shoes!" PLEASE FOLLOW ME ON TWITTER IF YOU HAVEn't yet! Nice post! I'm a shoe addicted and this ic is very pretty! this is great! i want this poster sized and framed for my room!!!! thanks for stopping by my blog and leaving a lovely comment! always makes my day!!! Thanks for stopping by my blog 'Coastal Style' - I am your newest follower - it would be great if we could follow each other! I stumbleupon on a daily basis. It's always useful to read through content from other authors and practice a little something from their web sites. Wow! That's a perfect guide! I did a shoe post a few months back. 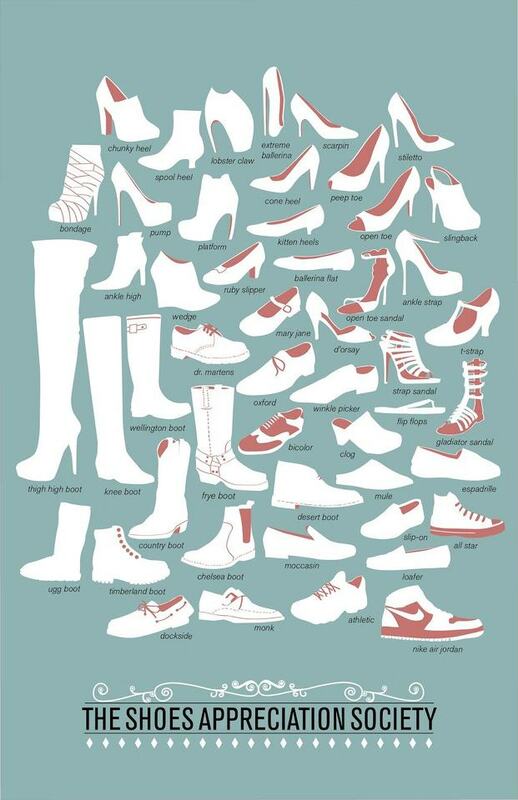 Here it is: How many shoes do you own?